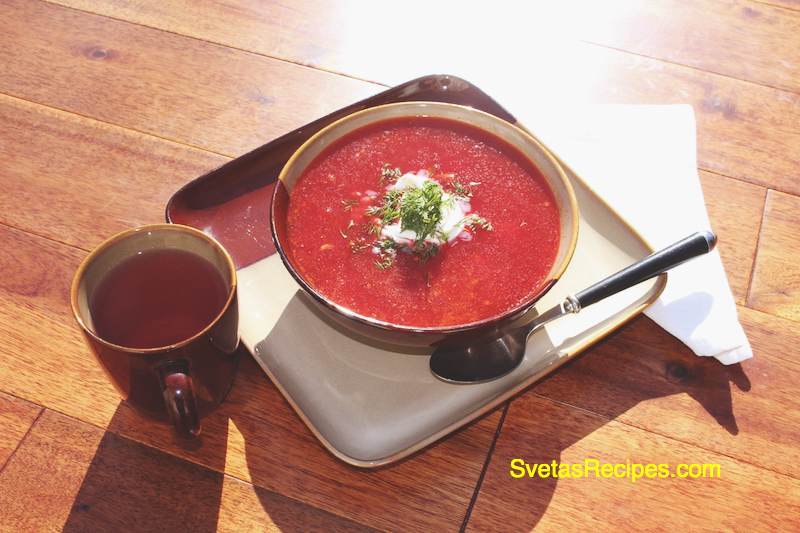 Red Soup: Makes a first-class informal lunch or family supper. It is substantial and filling with crusty bread and butter on the side. Wash vegetables and dry. Peel Vegetables. 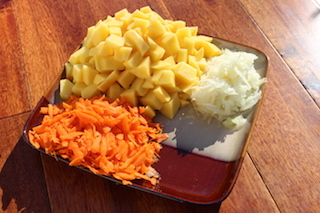 Cut potatoes into small cubes. Slice carrots and onions. 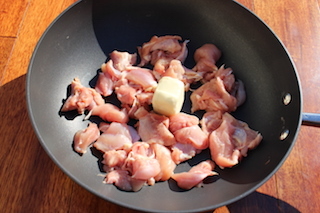 Cut Meat from bones into cubes and place them into a pan with butter. Cook until the meat is golden brown string occasionally. 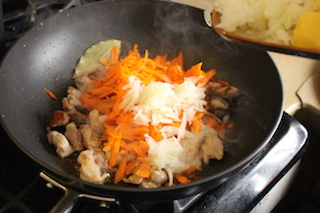 In the same skillet add carrots and onions. Cook on medium for about ten minutes. 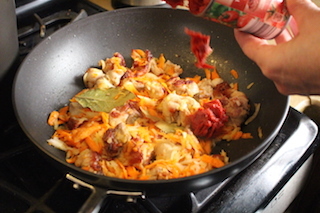 Add tomato paste to the mixture. Boil water and then place the beats inside. Reduce heat to medium and cook for 35 minutes. 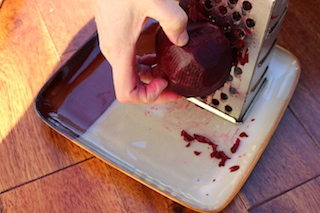 Shred the Beets until they are done. On medium low heat add carrots, onions, water, and meat. Add 1 1/2 salt and boil. 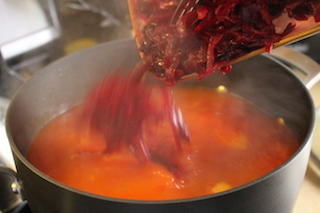 Once done boiling add beets. 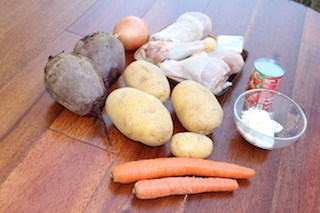 Boil and cook for 10 minutes or until the potatoes are tender. Add seasoning and vinegar. Serve in large soup bowl. Try to add sour cream to each portion. Red Soup: Makes a first-class informal lunch or family supper. It is substantial and filling with crusty bread and butter. Peel Vegetables. Cut potatoes into small cubes. Slice carrots and onions. Cut Meat from bones into cubes and place them into a pan with butter. Cook until the meat is golden brown string occasionally. In the same skillet add carrots and onions. Boil water and then place the beats inside. Reduce heat to medium and cook for 35 minutes. On medium low heat add carrots, onions, water, and meat. Add 1½ salt and boil. 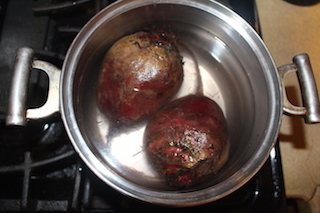 Once done boiling add beets. Boil and cook for 10 minutes or until the potatoes are tender. Add seasoning and vinegar. Serve in large soup bowl. Try to add sour cream to each portion.